Over the past several years, Michigan’s tourism department has advertised the state as a good place for outdoor activities. Birding in Michigan should be counted amongst those pursuits then. In addition to the golfing, swimming, hiking, etc., bird watching in Michigan is also a very worthwhile venture for birders. Here we’ll look at some of the more popular places to find birds in Michigan. Use the table to click to a section you like. Otherwise, just keep scrolling down. 1 Which Michigan Trails Are Good for Birding? 2 Where Are the Bird Sanctuaries in Michigan? 3 Which Birds Can I Hope to See in Michigan? Which Michigan Trails Are Good for Birding? There are four major trails designated in Michigan. These are not walking or hiking trails as such. They are more like loose connections of birding sites joined by highways. So while you can get out of your car and walk from time to time, don’t expect to spend several hours walking in a loop from start to finish. Take along a pair of good binoculars so you can see more birds from your car. The Superior Trail is in Upper Peninsula of Michigan, aka The UP (with the individual letters pronounced, as you-pea). Folks who live there are commonly known as Yoopers. It’s about 150 miles long and is technically a loop that includes both the Seney National Wildlife Refuge and the Whitefish Point Bird Observatory. There are 14 major stops you can make or places you can look along the trail. This brochure (PDF) explains these points in more detail. Commonly called the SBBT West, to distinguish it from the Saginaw Bay trail (SBBT East), the Sleeping Bear Birding Trail winds along the Lake Michigan coastline from Traverse City north to the tip of the peninsula west of Grand Traverse Bay and then south to Manistee. Part of this trail includes the Sleeping Bear Dunes National Lakeshore. You’ll need to pay the fee to enter this area. The many points of birding interest along the way are the following. Beaver Island is a large island in the middle of Lake Michigan. It’s about 40 miles west of Mackinaw City and is roughly halfway in between Michigan’s upper and lower peninsulas. The birding trail is fairly easily divided into four main sections – north, east, west, and central. In the northern section, you can visit these 9 main hotspots. On the east side of Beaver Island, check out these hotspots. Moving across the island to the west side, you can find these hotspots. Finally, in the center of Beaver Island you can see these birding sites. The fourth “trail” is also a collection of preserves and similar areas that you can’t walk like a normal trail either. The 40 sites listed here could keep you busy for many days. Where Are the Bird Sanctuaries in Michigan? There are at least 18 bird sanctuaries in the state. Most are located in south central Michigan, but a few are scattered up north too. Which Birds Can I Hope to See in Michigan? At the Whitefish Point Bird Observatory, you can normally find these birds. Look for these at the Pointe Mouillee State Game Area. You’ll find some special birds at the Seney National Wildlife Refuge. The Shiawassee National Wildlife Refuge Is a fine place if you need to add any of these to your list. 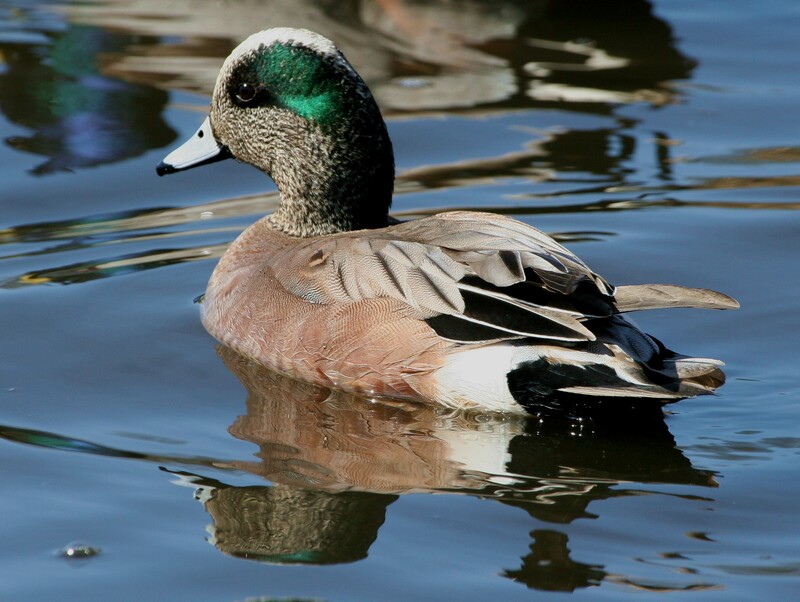 Visit the Arcadia Marsh Nature Preserve to see some of these favorites. Head to Lake Michigan for these beauties in the Warren Dunes State Park. Tawas Point State Park is often home to these species. Head over to Belle Isle Park to check out as many of these as you can find. At Nayanquing Point State Wildlife Area you’ll find dozens of these birds and more. Finally, here are a few more birding locations in Michigan you might like to visit. Share this article with your friends using the icons below. Contact a group of friends and get together to visit one of the many awesome birding hot spots in Michigan soon. Next Next post: Compact Binoculars: Do They Really Fit in Your Pocket?